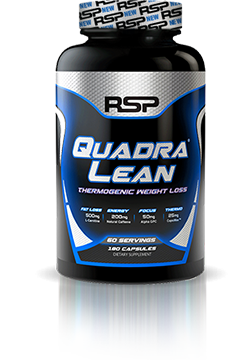 The RSP Quadra Lean Stimulant Free capsules are something I researched for both my girlfriend and myself. She is looking to lose weight, and I was interested in improving metabolism, focus, energy, and brain health! I love all the info RSP provides on why they include ingredients in their products. This was the clear choice in our price range after comparing to the other products on the market! 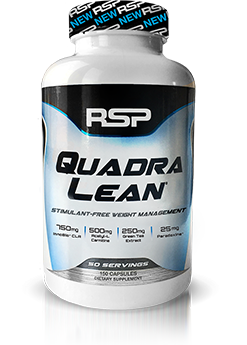 I got the RSP Quadra Lean Stimulant Free capsules. I just started taking them on 04/01/2019 as part of a new diet program. Since I started the program and taking the supplements I am down 4lbs. I feel great, the energy is non-jittery. I feel alert throughout the day with no slumps. My cravings have hugely decreased and i can work all day and have the energy to power through my workouts after work and sleep be able to get a good night's sleep. 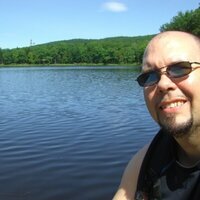 So far I am loving the product and the results that have come with it. Peach Mango flavor is great. Curbs appetite and increases energy, very satisfied with this product! Gelatin, Plant Cellulose, Silicon Dioxide, Magnesium Stearate.